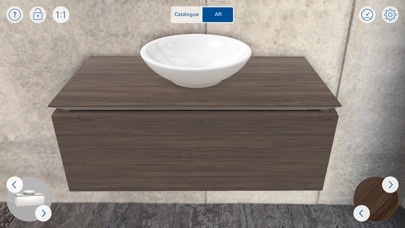 Enjoy a virtual experience of selected products by Villeroy & Boch in 3D, live and in the comfort of your own home. 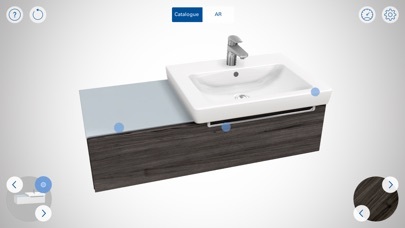 Use Catalogue Mode to conveniently display lots of products and try them out in different colour combinations. Then switch to Augmented Reality Mode to experience your desired product, live in your home. These are virtually projected into the room with the aid of the camera and an Augmented Reality marker. App functions: - The app starts in Catalogue Mode, which allows you to explore all the products without further aids. - Use the menu at the bottom left to select different products. - Use the ‘Back’ button in the product menu to conveniently navigate between product groups and collections. - For many products, the colour can be changed using hotspots and the colour selection menu on the right. - Use the info hotspot to learn more about selected products, such as DirectFlush. 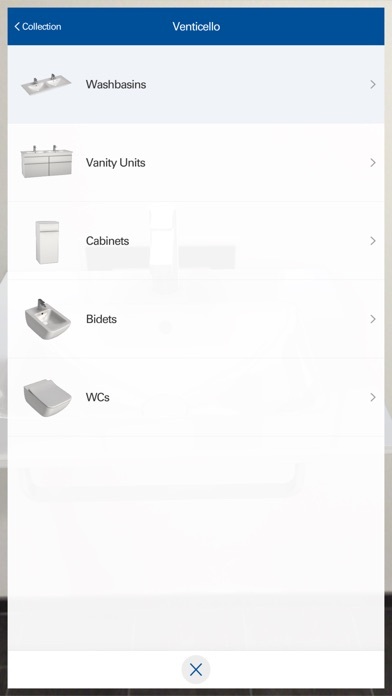 The following steps must be performed to use the app in Augmented Reality mode: - Download the corresponding AR marker from http://www.villeroy-boch.com/augmented and print it out. 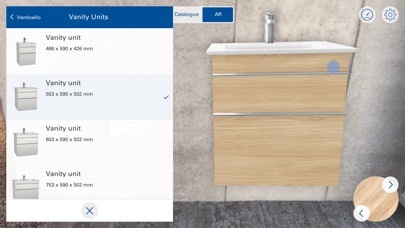 - Enable AR Mode in the Villeroy & Boch Augmented Reality app and scan the AR marker with the camera to view products virtually in the room, in place of the marker. - Products and colours can be changed using the same functions as in Catalogue Mode.